It's been a while since I've done any machine quilting. No particular reason - just busy with other projects. 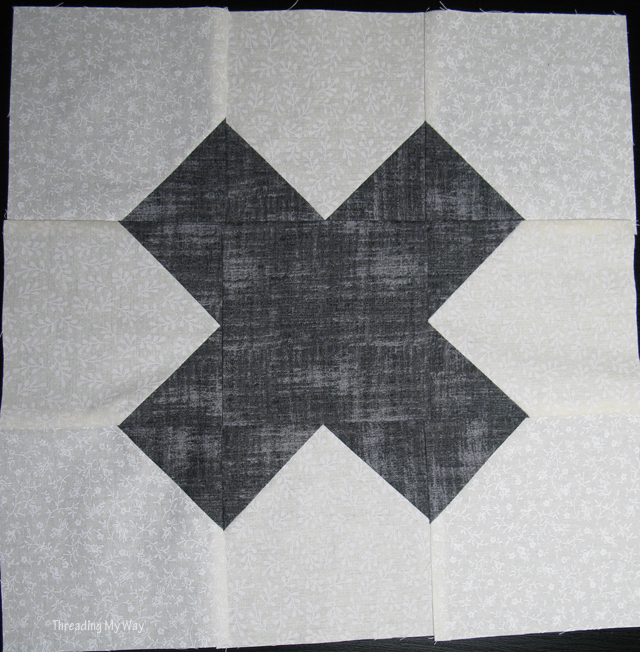 A post by Ros, from Sew Delicious, prompted me to piece a few blocks together. Finished quilts are going to be donated to women and children who have suffered from domestic violence. The project is being co-ordinated by Jackie Gillies over on Instagram. 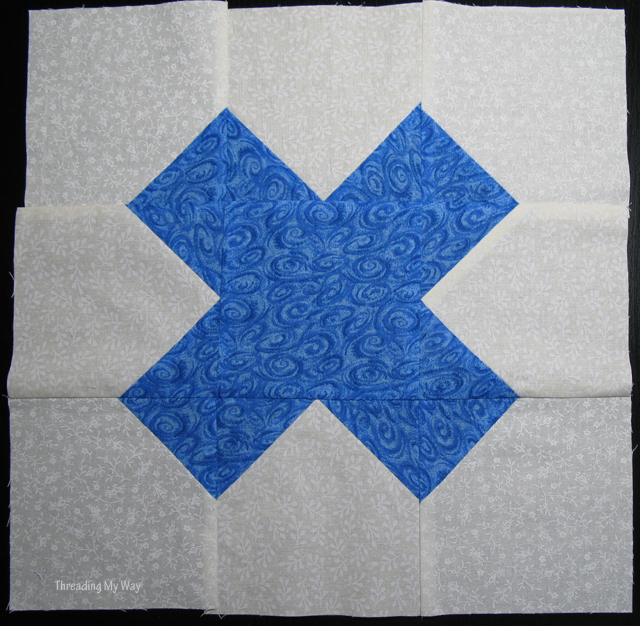 You can see photos of finished blocks and quilts with the hashtag - #quiltblockstohealviolence. If you scroll right to the very beginning, you can read details as to why Jackie began the drive. 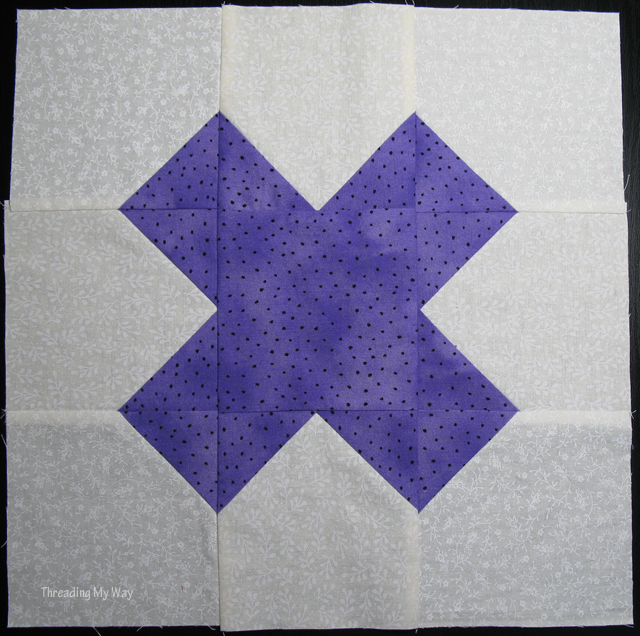 An easy block has been chosen - the Tic Tac Toe block, to be made with bright rainbow colours for the cross with a low volume background. I missed the word rainbow, but I'm sure the black / grey won't stand out in a sea of rainbow colours. Turns out I don't have a lot of low volume fabrics - two to be exact. They make look the same, but there's two different prints in the background of each block. Four blocks isn't much by itself, but added together there's been a lot of blocks collected. There's been a lot of support for this project - making the blocks, piecing them together, quilting and binding and generous donations of backing fabric and batting. Isn't the online sewing community wonderful!! 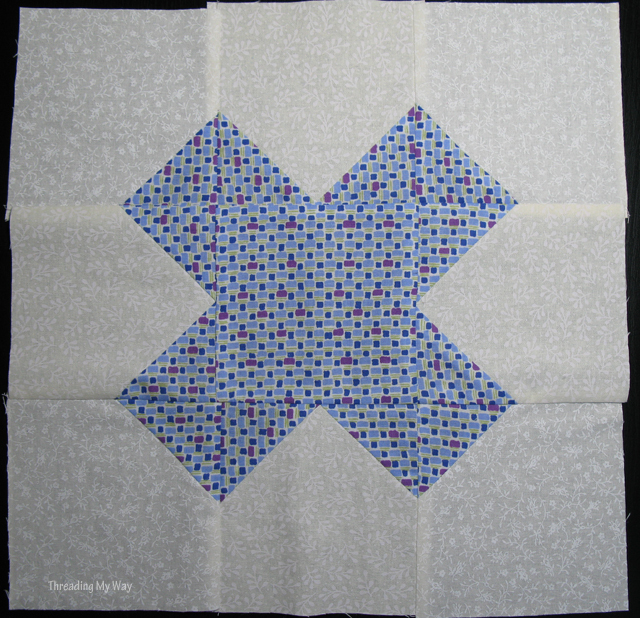 Very pretty blocks, quilts are always such a lovely charity make, being so full of comfort and love, sounds perfect for this cause.